Journal of Plant Diseases & Biomarkers is an open access, scientific journal that is centred on the publication of research developments in the field of detection, diagnosis, treatment, management and most importantly prevention of plant diseases. Study of various aspects of plant diseases is imperative to ensure high agricultural output. Improper management of plant diseases and diminished agricultural productivity is linked to disparity in the economical and health sectors. The journal intends to provide a platform for the dissemination of conceptual breakthroughs and ground breaking technologies associated with the plant diseases like blights, cankers, rots, rusts, wilts, downy mildews, leaf spots and molds etc. The scope of the journal includes various aspects of plant biotechnology, agricultural biotechnology, microbiology, genetic engineering and plant pathology. 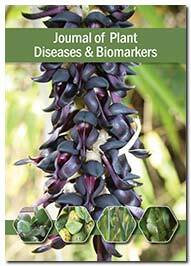 The journal solicits article based on research findings in the field of plant nutrition, plant breeding, horticulture, plant physiology, pest management, irrigation technology, plant genetics, soil fertility, disease control, biological biomarkers, plant biomarkers, plant stress biomarkers, diterpenoid biomarkers and biomarker stereochemistry. The journal invites original and novel articles that address various aspects of treatment and prevention of plant diseases caused due to Plant Mosaic Virus infection, fungal diseases of plants, root nematodes and plant pheromones.